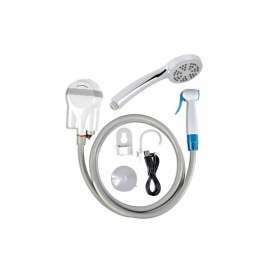 Here is a waterproof, battery-powered portable shower that can serve multiple purposes indoors or out. 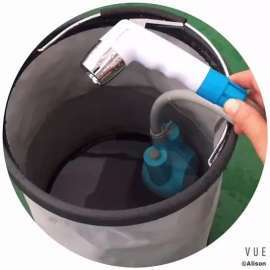 By drawing water from virtually any bucket, basin or sink, the portable shower system turns a pool of water into a gentle shower-like stream on demand. 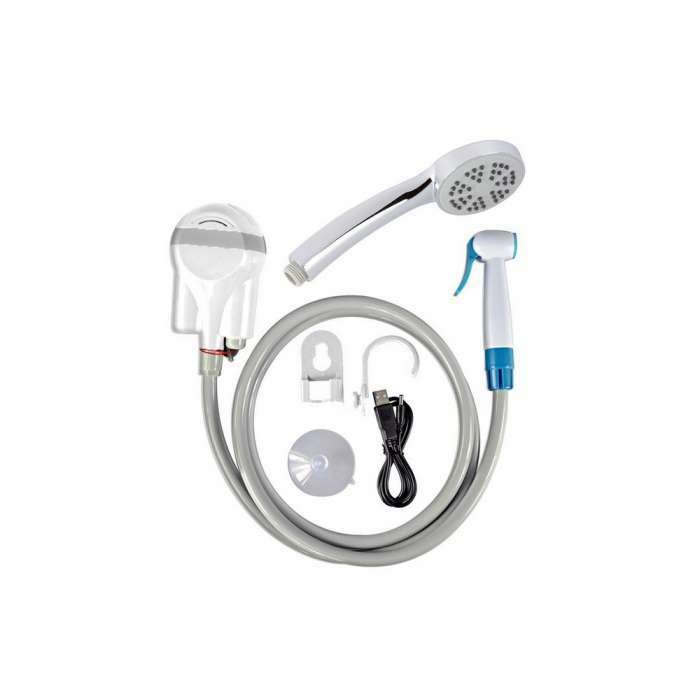 This level of mobility and shower-anywhere capability is great for many uses such as on-the-go showering for campers and hikers; accessible poolside or beach showering; gentle bathtub showering for toddlers/babies, eliminating the need to use the strong overheard shower stream; an easy, portable water stream for home car washers; outdoor horse cleaning, and even house-pet washing in the bathtub. 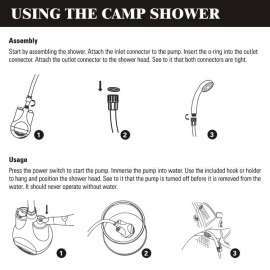 Get clean. With cleaner water.